Information technology plays a critical role in India today and has helped to transform India’s image from that of a developing economy into a global hub of innovation. India is one of the major technology capitals of the world, with 2.5 million people directly employed in its information technology sector. The government is integrating technology into political and social life through the Digital India campaign, which aims to make government services available electronically and make the government directly accountable to their citizens. Initiatives of this type strive to improve accessibility and revolutionize the Indian communications landscape. Today, India’s telecommunication network is the second largest in the world, and India has the world’s third largest internet user base. 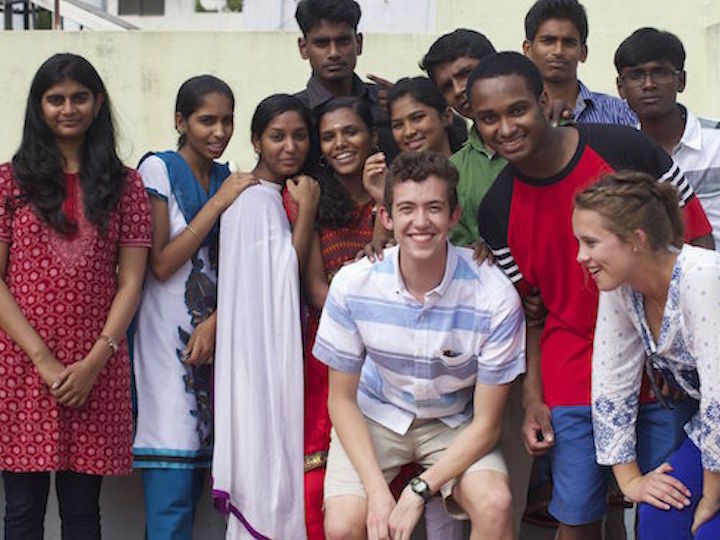 The Georgetown University India Initiative engages the intersection of technology and communications through research, teaching, and programming. For an overview of Georgetown’s engagement with issues of communication across schools and programs, visit the Global Georgetown website. On January 5, the Georgetown University India Initiative student fellows hosted a one-day workshop, Designing for Social Innovation, in Mumbai. This event was organized in conjunction with the Indian School of Management and Entrepreneurship (ISME) and hosted at their campus in Mumbai.